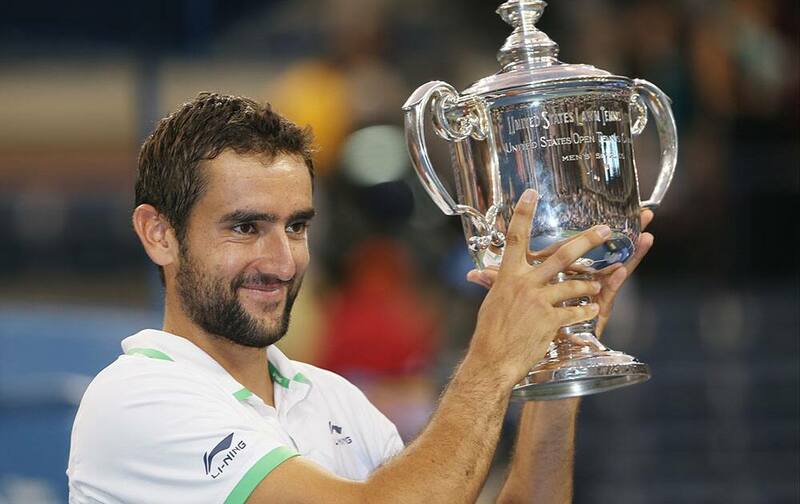 Marin Cilic, of Croatia, holds up the championship trophy after defeating Kei Nishikori, of Japan, in the championship match of the 2014 US Open tennis tournament. 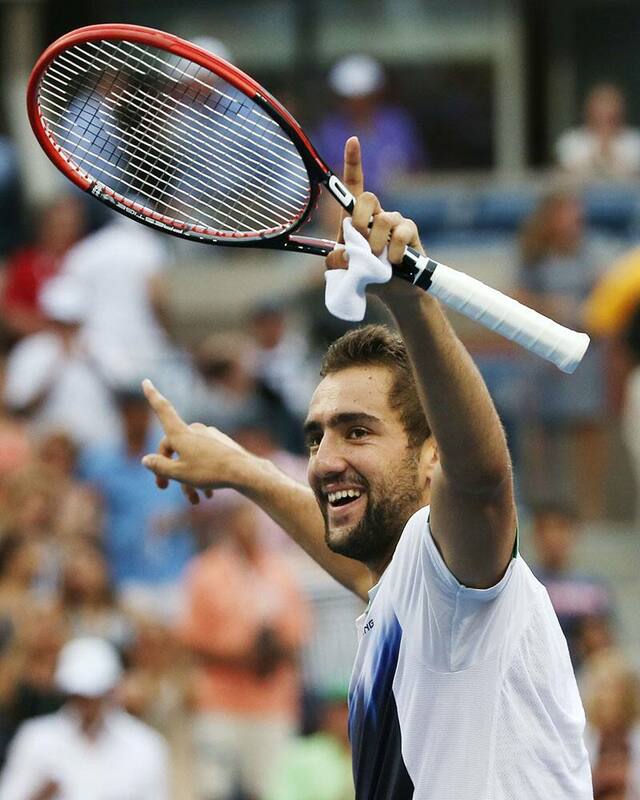 Marin Cilic, of Croatia, reacts after defeating Kei Nishikori, of Japan, during the championship match of the 2014 US Open tennis tournament. 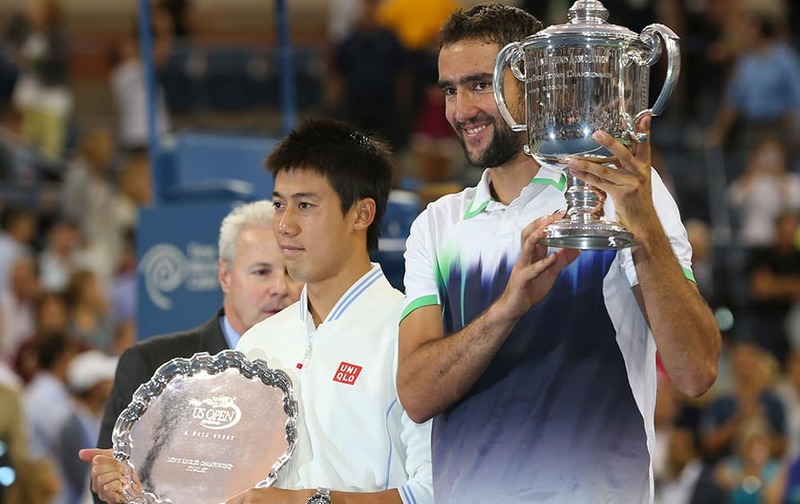 Marin Cilic, of Croatia, poses with the championship trophy with Kei Nishikori, of Japan, left, after the championship match of the 2014 US Open tennis tournament. 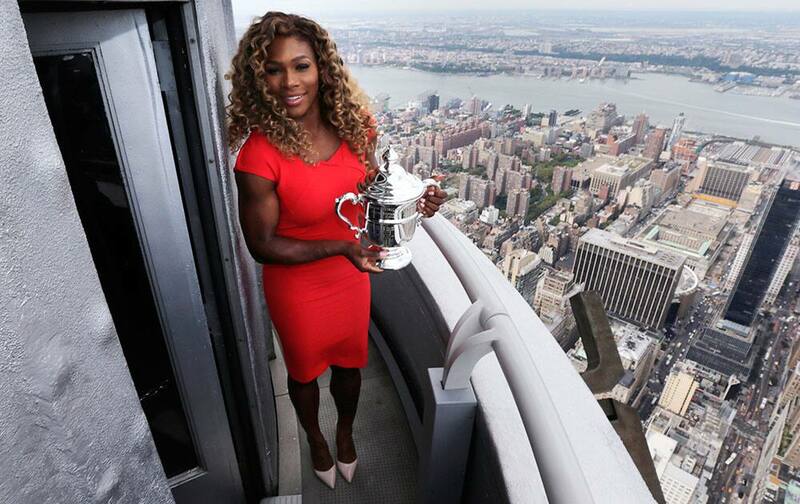 Serena Williams holds the U.S. Open tennis women's singles championship trophy during a visit to the 103rd floor of the Empire State Building, in New York. 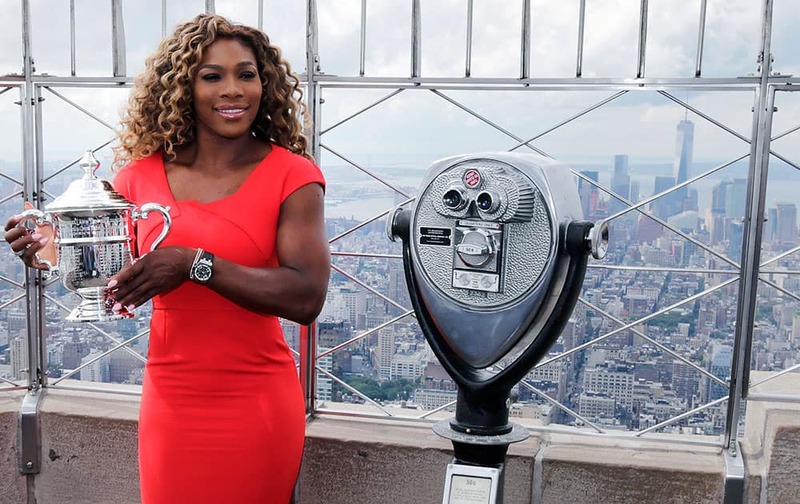 Martina Navratilova, left, and Chris Evert, right, pose for a photo with Serena Williams after Williams defeated Caroline Wozniacki, of Denmark, in the championship match of the 2014 US Open tennis tournament. 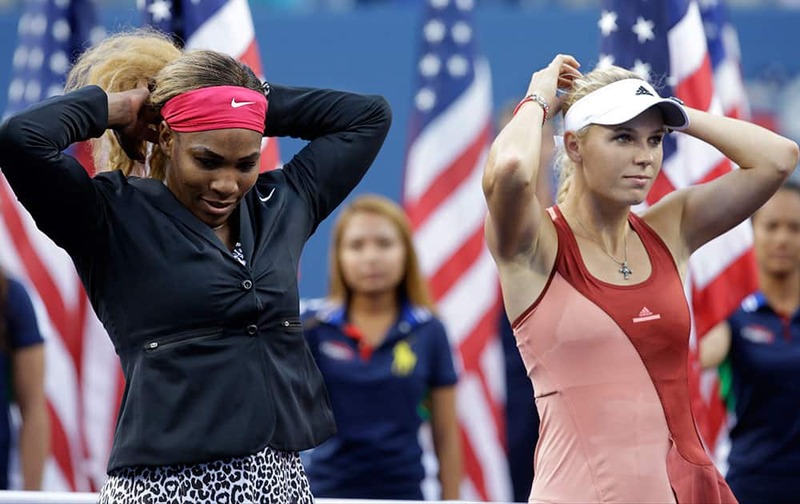 Caroline Wozniacki, of Denmark, left, and Serena Williams, of the United States, pose for photos after Williams defeated Wozniacki in the championship match of the 2014 US Open tennis tournament. 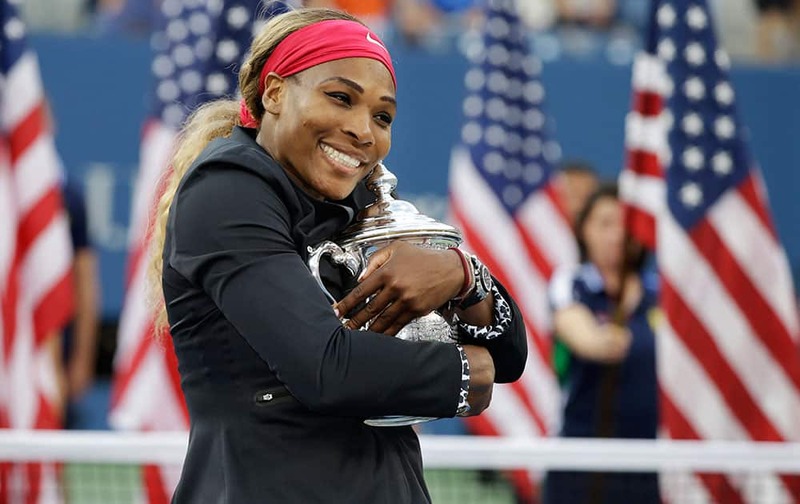 Serena Williams, of the United States, hugs the championship trophy after defeating Caroline Wozniacki, of Denmark, during the championship match of the 2014 US Open tennis tournament. 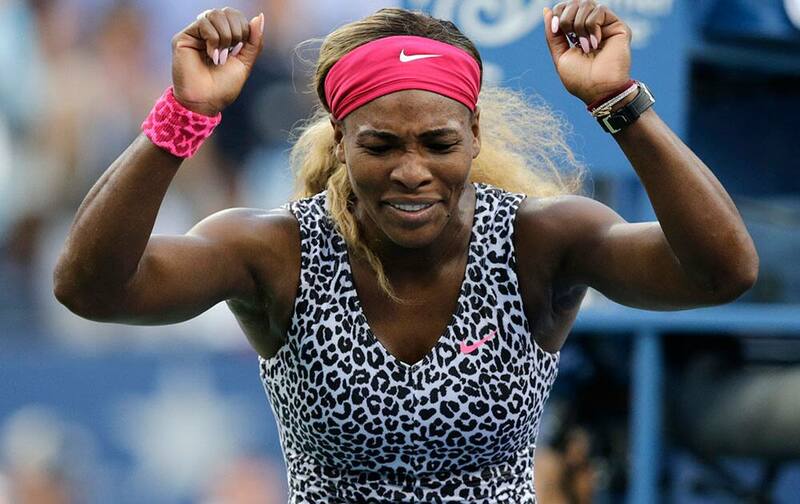 Serena Williams, reacts after defeating Caroline Wozniacki, of Denmark, during the championship match of the 2014 US Open tennis tournament. 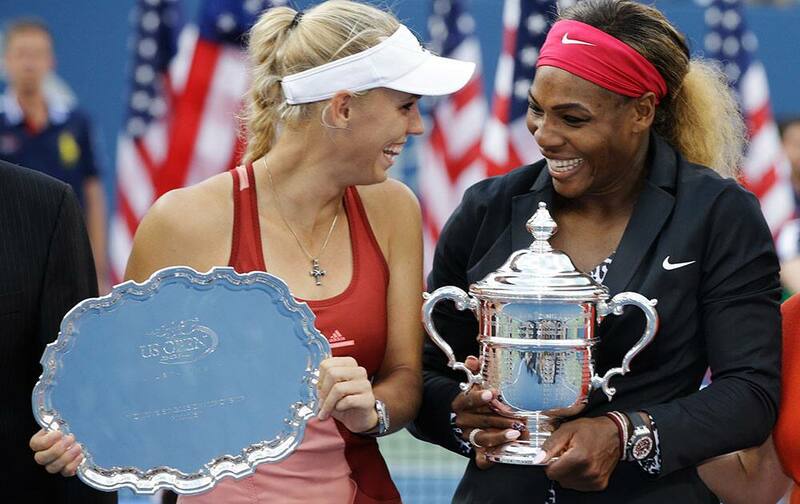 Serena Williams, left, and Caroline Wozniacki, of Denmark, wait for the start of the trophy ceremony after Williams defeated Wozniacki in the championship match of the 2014 US Open tennis tournament. 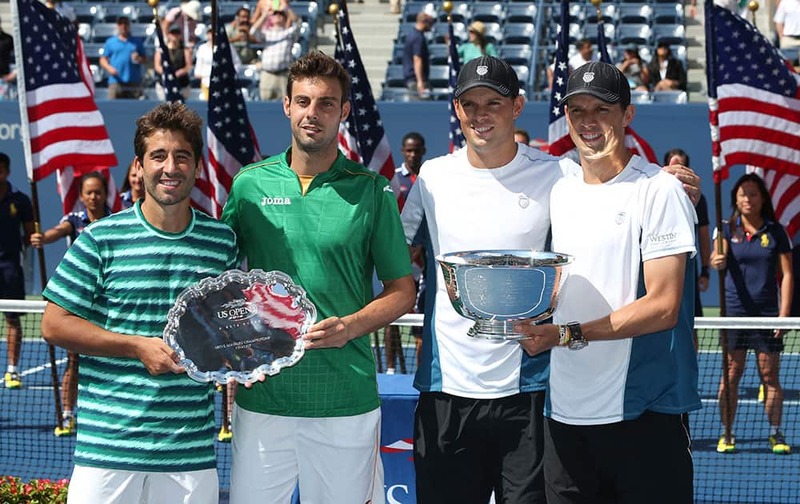 Marc Lopez, left, and Marcel Granollers, of Spain, second from left, pose with Bob, second from right, and Mike Bryan after the Bryan's won the men's doubles championship match of the 2014 US Open tennis tournament. 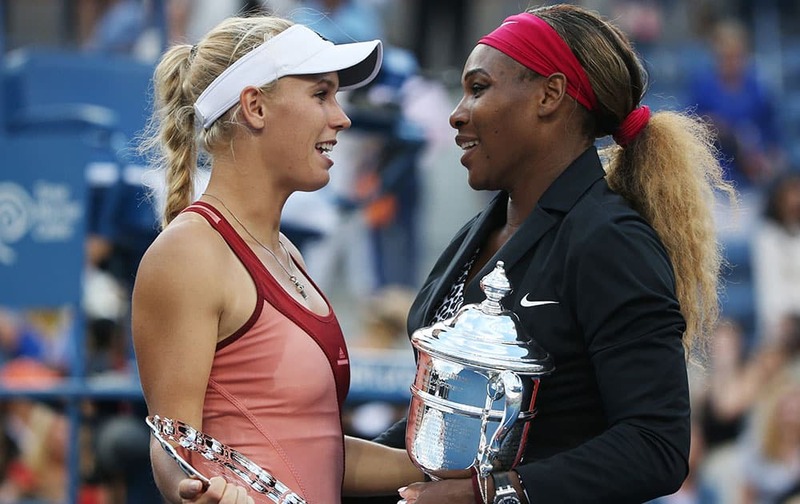 Elena Vesnina, right, and Ekaterina Makarova, of Russia, kiss the championship trophy after winning the women's doubles final over Flavia Pennetta, of Italy, and Martina Hingis, of Switzerland, at the 2014 US Open tennis tournament. 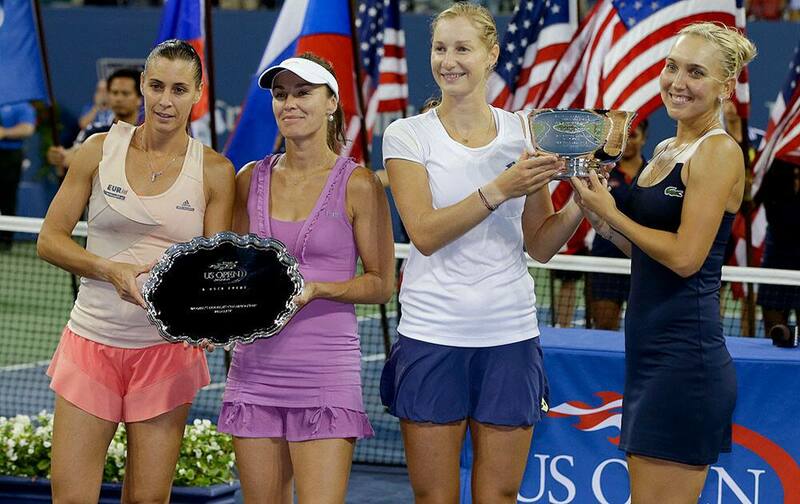 Elena Vesnina, right, and Ekaterina Makarova, of Russia, second from right, pose with the women's doubles championship trophy alongside runners up Flavia Pennetta, of Italy, left and Martina Hingis, of Switzerland, at the 2014 US Open tennis tournament. Marin Cilic, of Croatia, reacts defeating Roger Federer, of Switzerland, during the semifinals of the 2014 US Open tennis tournament. 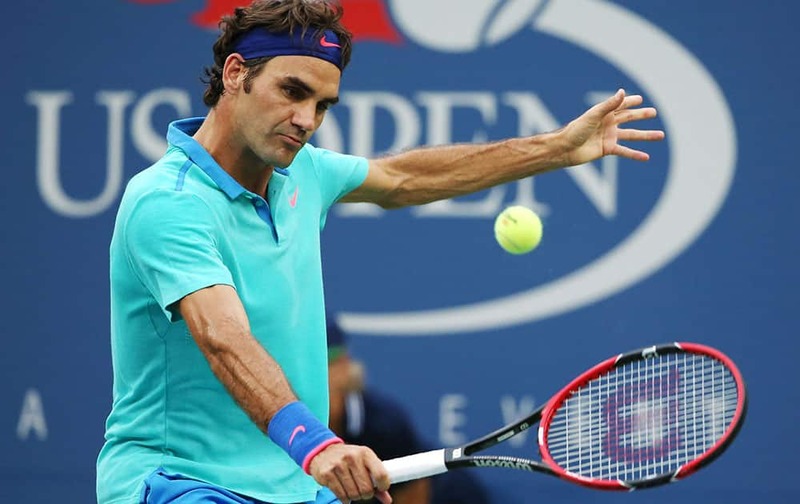 Roger Federer, of Switzerland, returns a shot against Marin Cilic, of Croatia, during the semifinals of the 2014 US Open tennis tournament. 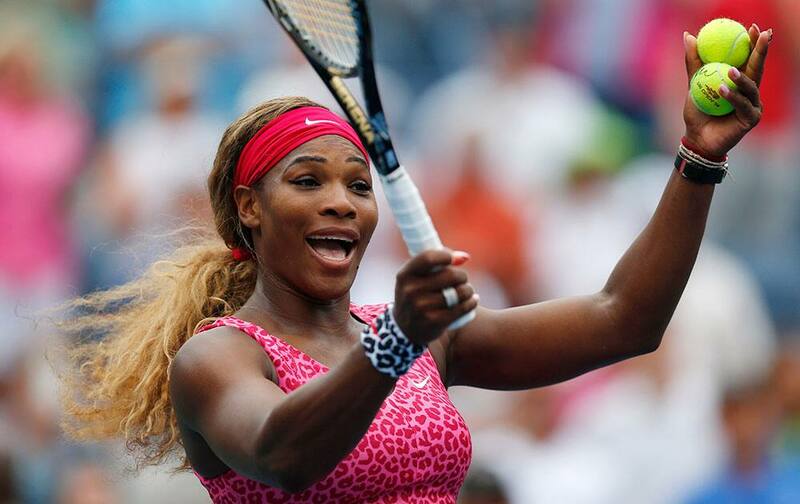 Serena Williams, reacts after defeating Ekaterina Makarova, of Russia, during the semifinals of the 2014 US Open tennis tournament. 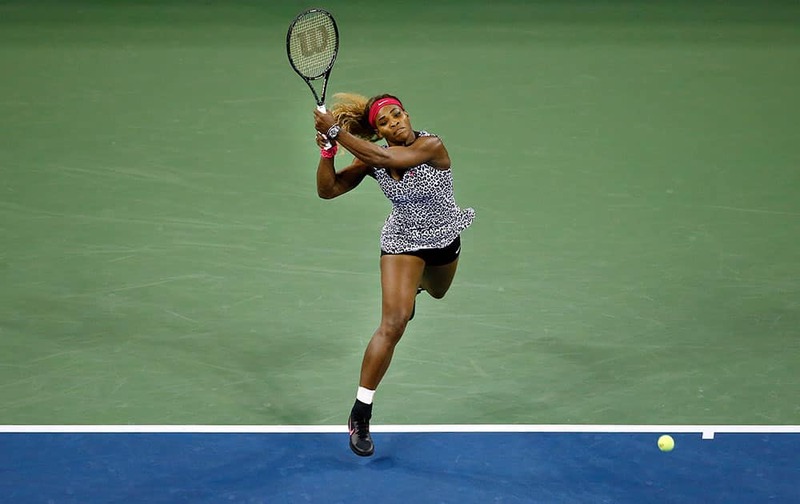 Ekaterina Makarova, of Russia, returns a shot against Serena Williams, of the United States, during the semifinals of the 2014 US Open tennis tournament. 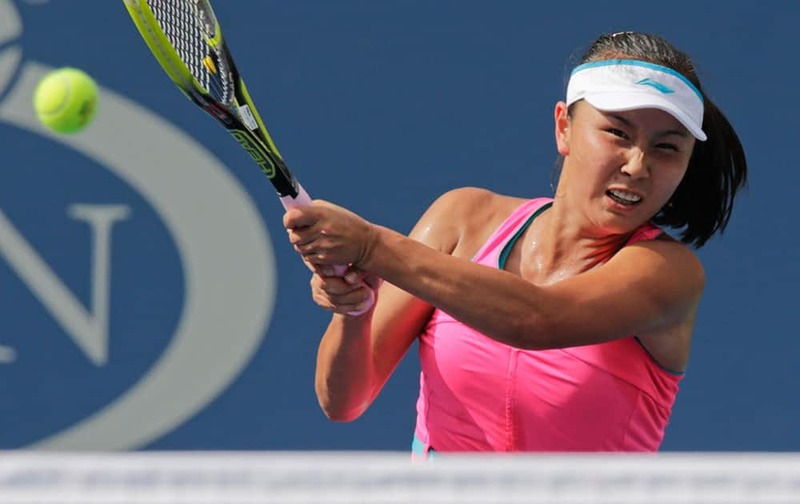 Peng Shuai, of China, returns a shot against Caroline Wozniacki, of Denmark, during the semifinals of the 2014 US Open tennis tournament. Caroline Wozniacki, of Denmark, returns a shot against Peng Shuai, of China, during the semifinals of the 2014 US Open tennis tournament. 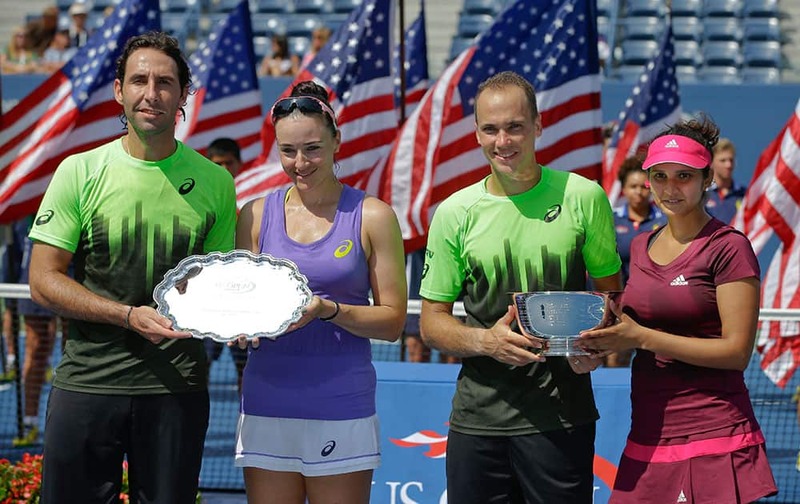 Bruno Soares, second from right, and Sania Mirza, right, pose for photos with the championship trophy alongside runners up Santiago Gonzalez and Abigail Spears after winning the mixed doubles final of the 2014 US Open tennis tournament. Skier Lindsey Vonn attends the quarterfinal match between Roger Federer, of Switzerland, and Gael Monfils, of France, at the US Open tennis tournament. 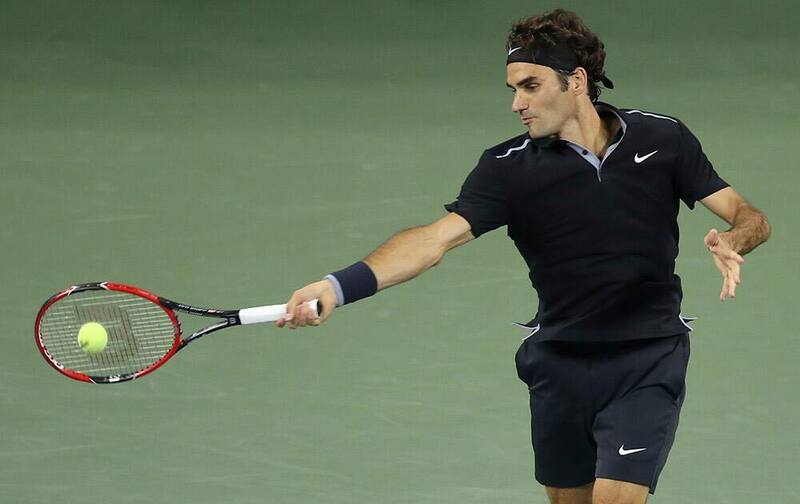 Roger Federer, of Switzerland, returns a shot to Gael Monfils, of France, during the quarterfinals of the US Open tennis tournament. Martina Hingis, left, pumps fists with Flavia Pennetta during a semifinal doubles match against Cara Black and Sania Mirza at the 2014 US Open tennis tournament. 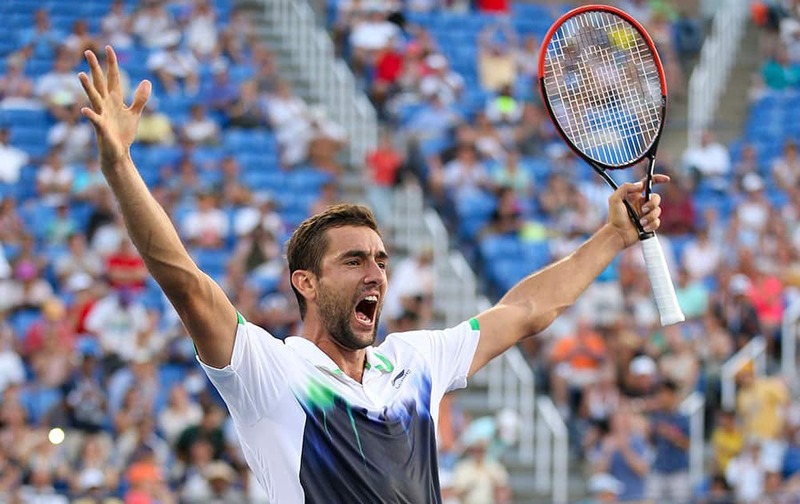 Marin Cilic, of Croatia, reacts after defeating Tomas Berdych, of the Czech Republic, during the quarterfinals of the 2014 U.S. Open tennis tournament. 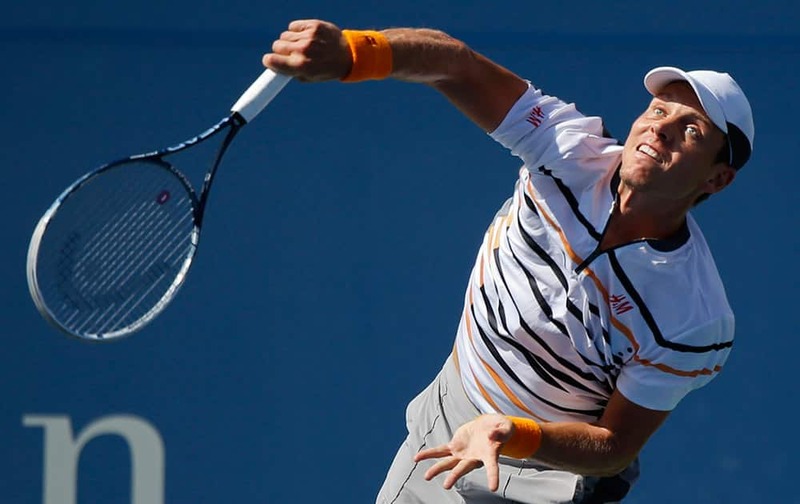 Tomas Berdych, of the Czech Republic, serves against Marin Cilic, of Croatia, during the quarterfinals of the 2014 US Open tennis tournament. Novak Djokovic, of Serbia, reacts after winning a game against Andy Murray, of Britain, during the quarterfinals of the US Open tennis tournament. Serena Williams, of the United States, returns a shot to Flavia Pennetta, of Italy, during the quarterfinals of the US Open tennis tournament. Flavia Pennetta, of Italy, reacts after missing a shot against Serena Williams, of the United States, during the quarterfinals of the US Open tennis tournament. 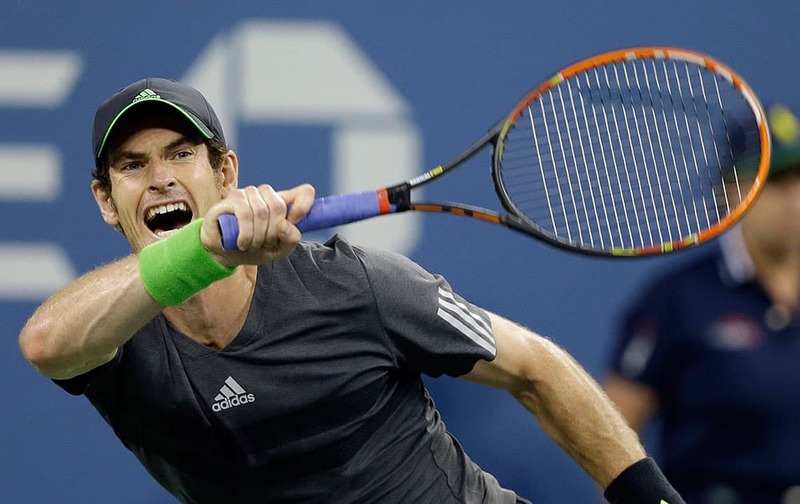 Andy Murray, of Britain, returns a shot to Novak Djokovic, of Serbia, during the quarterfinals of the US Open tennis tournament. 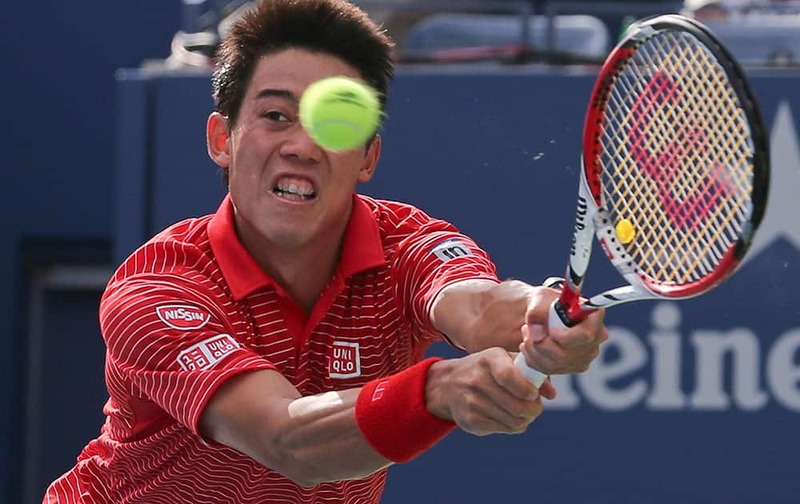 Kei Nishikori, of Japan, returns a shot against Stan Wawrinka, of Switzerland, during the quarterfinals of the 2014 US Open tennis tournament. 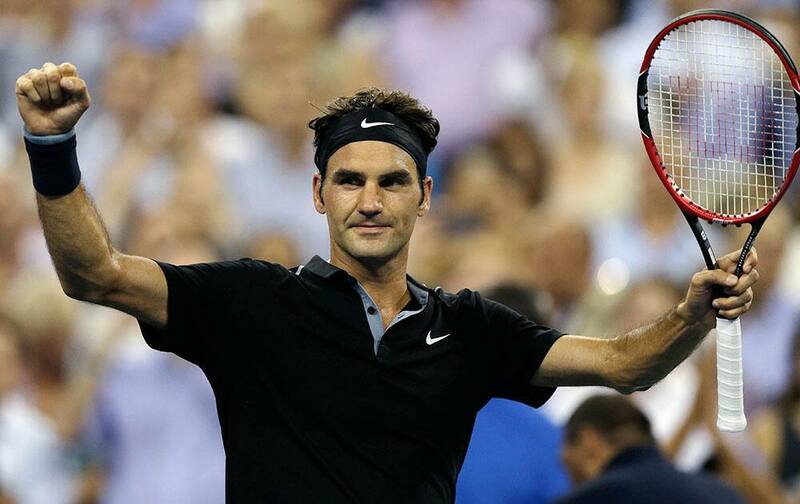 Roger Federer, of Switzerland, raises his arms after defeating Roberto Bautista Agut, of Spain, 6-4, 6-3, 6-2 during the fourth round of the US Open tennis tournament. 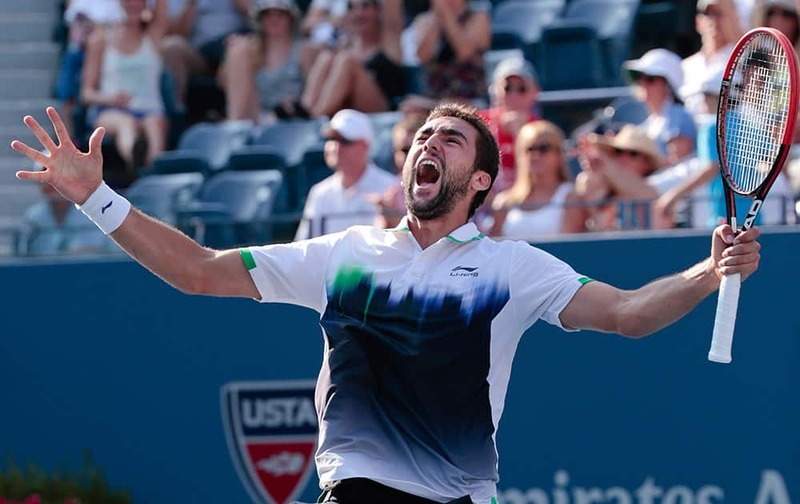 Marin Cilic, of Croatia, reacts after defeating Gilles Simon, of France, in five sets during the fourth round of the 2014 US Open tennis tournament. Sara Errani, of Italy, returns to Caroline Wozniacki, of Denmark, during the quarterfinals of the US Open tennis tournament. Ekaterina Makarova, of Russia, left, high fives Elena Vesnina, of Russia, during a quarterfinals doubles match against Serena and Venus Williams at the 2014 US Open tennis tournament. Belinda Bencic, of Switzerland, chases down a shot against Peng Shuai, of China, during the quarterfinals of the 2014 US Open tennis tournament. 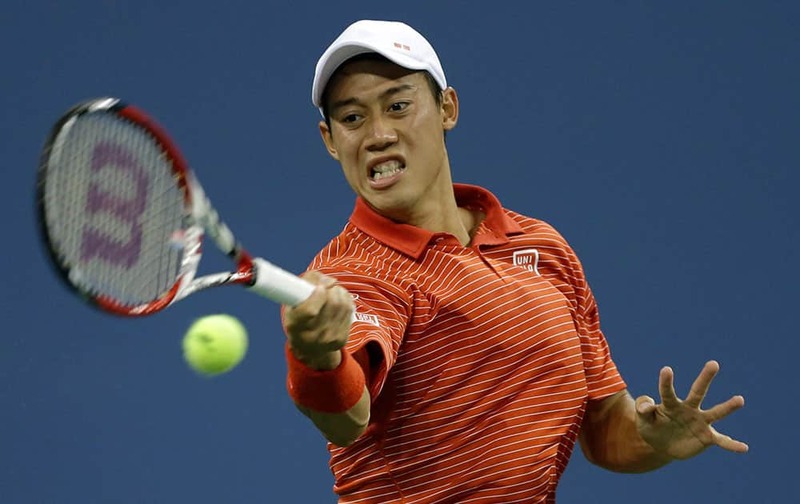 Kei Nishikori, of Japan, returns a shot to Milos Raonic, of Canada, during the fourth round of the 2014 US Open tennis tournament. 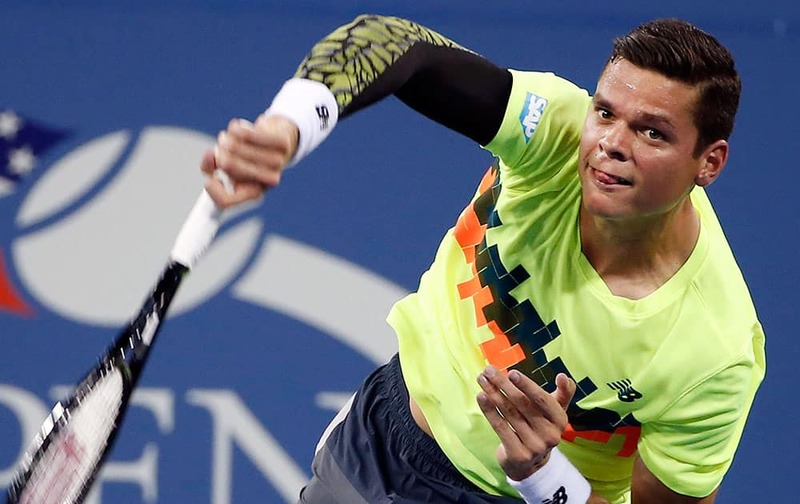 Milos Raonic, of Canada, serves to Kei Nishikori, of Japan, during the fourth round of the US Open tennis tournament. Victoria Azarenka, of Belarus, is congratulated by Aleksandra Krunic, of Serbia, after Azarenka defeated Krunic in the fourth round of the 2014 US Open tennis tournament. Victoria Azarenka, of Belarus, reacts after a point during a math against Aleksandra Krunic, of Serbia, during the fourth round of the 2014 US Open tennis tournament. 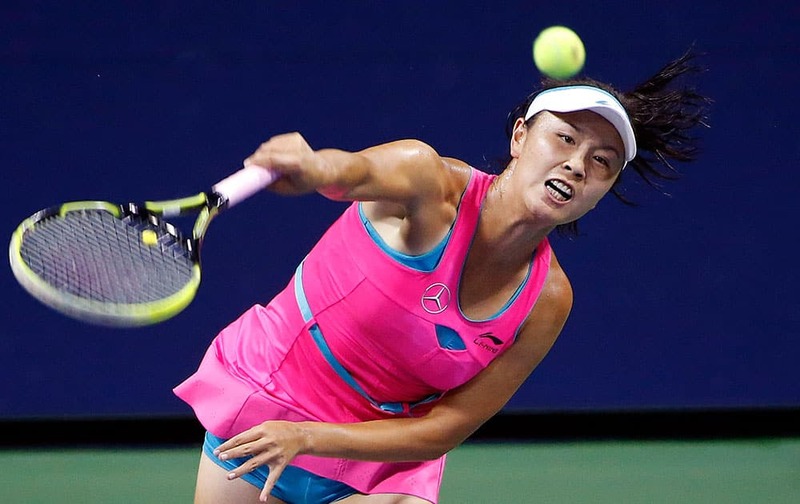 Shuai Peng, of China, serves to Lucie Safarova, of Czech Republic, during the fourth round of the US Open tennis tournament. 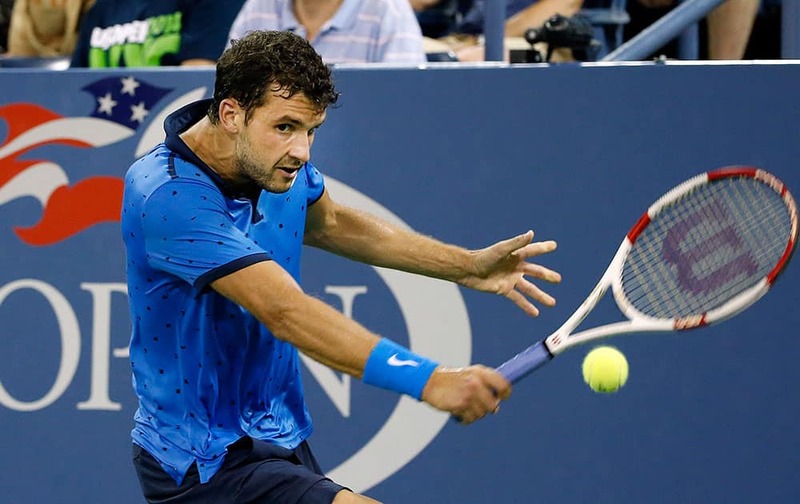 Grigor Dimitrov, of Bulgaria, returns a shot to David Goffin, of Belgium, during the third round of the US Open tennis tournament. Lucie Safarova, of Czech Republic, returns a shot to Shuai Peng, of China, during the fourth round of the US Open tennis tournament. 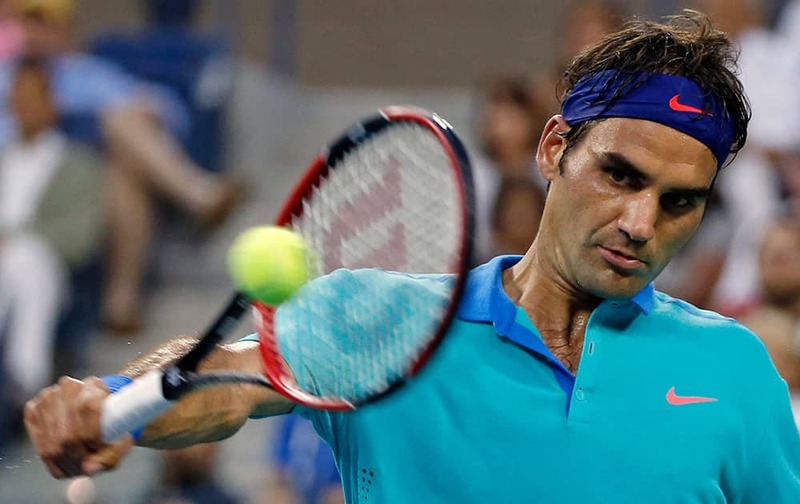 Roger Federer, of Switzerland, returns the ball against Marcel Granollers, of Spain, during the third round of the US Open tennis tournament. Belinda Bencic, of Switzerland, returns to Jelena Jankovic, of Serbia, during their match in the fourth round of the 2014 US Open tennis tournament. 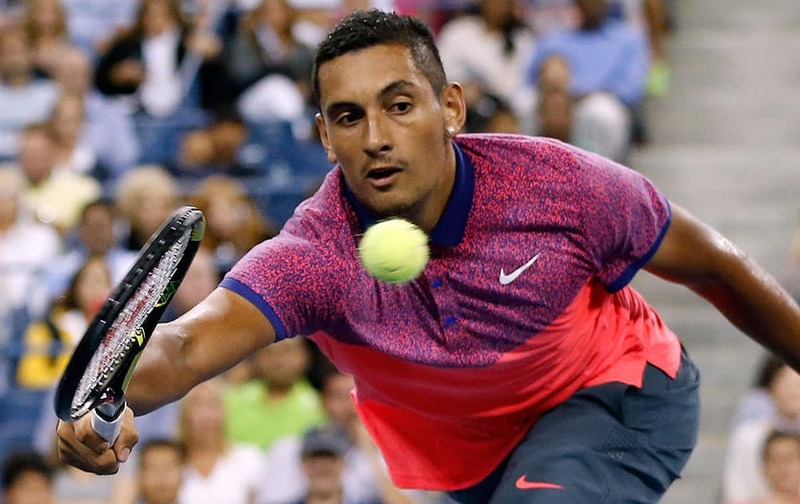 Nick Kyrgios, of Australia, reaches for a volley against Tommy Robredo, of Spain, during the third round of the US Open tennis tournament. Tommy Robredo, of Spain, reacts after defeating Nick Kyrgios, of Australia, in the third round of the US Open tennis tournament. Eugenie Bouchard, of Canada, reacts after defeating Barbora Zahlavova Strycova, of the Czech Republic, during the third round of the 2014 US Open tennis tournament. 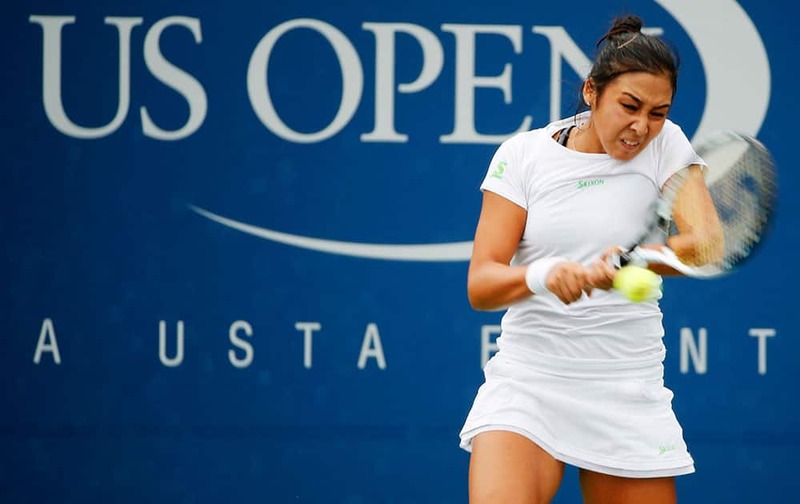 Zarina Diyas, of Kazakhstan, returns a shot against Ekaterina Makarova, of Russia, during the third round of the 2014 US Open tennis tournament. 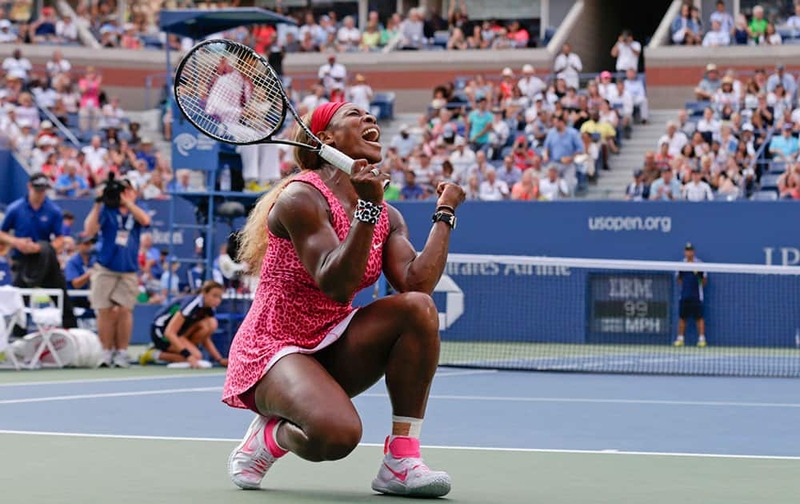 Serena Williams, of the United States, reacts to the crowd as she prepares to hit balls into the stands after defeating Varvara Lepchenko, of the United States, during the third round of the 2014 US Open tennis tournament. Maria Sharapova, of Russia, reacts after winning a game against Sabine Lisicki, of Germany, during the third round of the US Open tennis tournament. Sabine Lisicki, of Germany, stretches to return a shot to Maria Sharapova, of Russia, during the third round of the US Open tennis tournament. 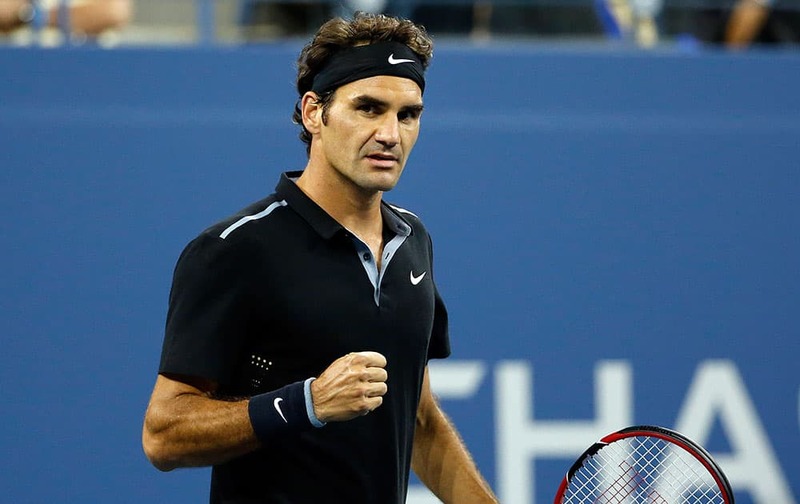 Roger Federer, of Switzerland, reacts after winning a point against Sam Groth, of Australia, during the second round of the US Open tennis tournament. Caroline Wozniacki, of Denmark, chases down shot by Andrea Petkovic, of Germany, during the third round of the 2014 US Open tennis tournament. 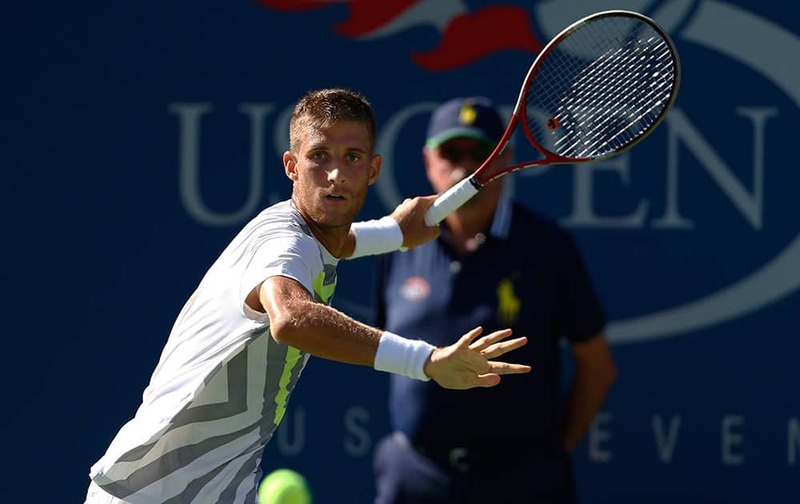 Martin Klizan, of Slovakia, returns a shot against Tomas Berdych, of the Czech Republic, during the second round of the 2014 US Open tennis tournament. Belinda Bencic, of Switzerland, returns a shot to Angelique Kerber, of Germany, during the third round of the 2014 US Open tennis tournament. Lucie Safarova, of the Czech Republic, returns a shot to Alize Cornet, of France, during the third round of the 2014 US Open tennis tournament. Eugenie Bouchard, of Canada, returns a shot to Sorana Cirstea, of Romania, during the second round of the 2014 US Open tennis tournament in New York. 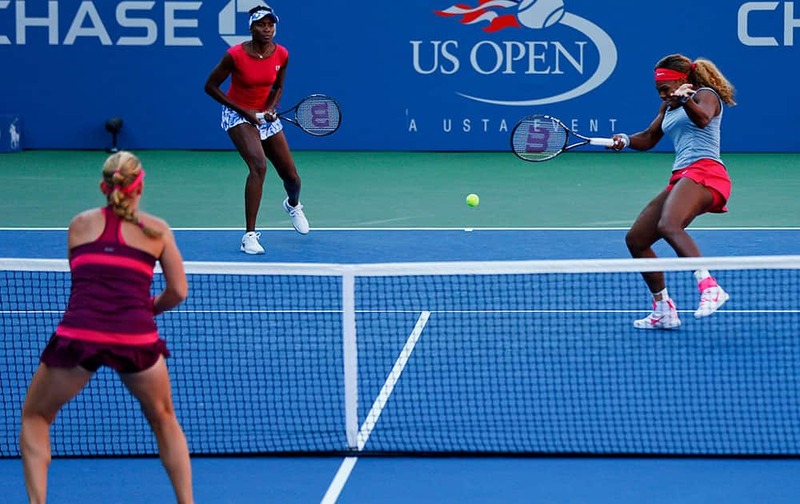 Serena Williams, right, returns a shot as Venus Williams, center, looks on during a doubles match against Timea Babos and Kristina Mladenovic during the 2014 US Open tennis tournament in New York. 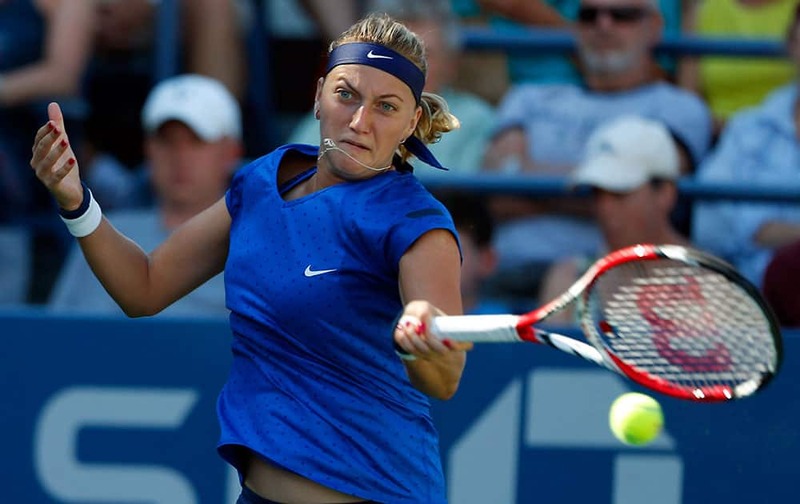 Petra Kvitova, of the Czech Republic, returns a shot against Petra Cetkovska, of the Czech Republic, during the second round of the 2014 US Open tennis tournament in New York. Aleksandra Krunic, of Serbia, returns a shot to Madison Keys, of the United States, during the second round of the 2014 US Open tennis tournament in New York. 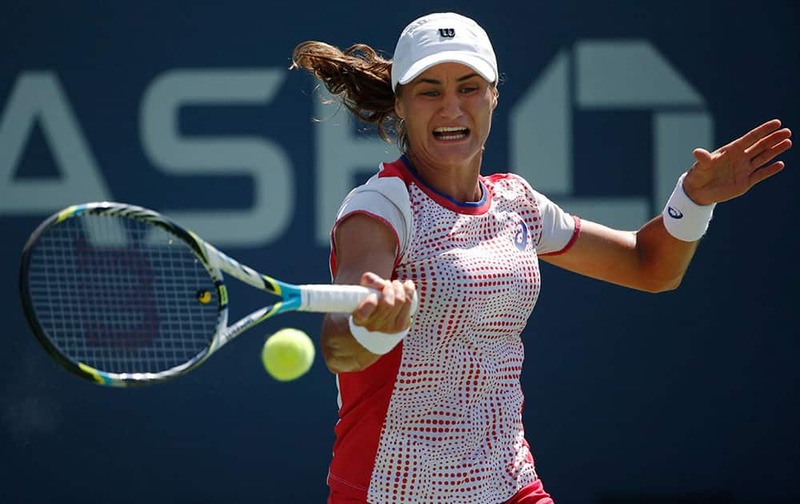 Monica Niculescu, of Romania, returns a shot to Barbora Zahlavova Strycova, of the Czech Republic, during the second round of the 2014 US Open tennis tournament in New York. 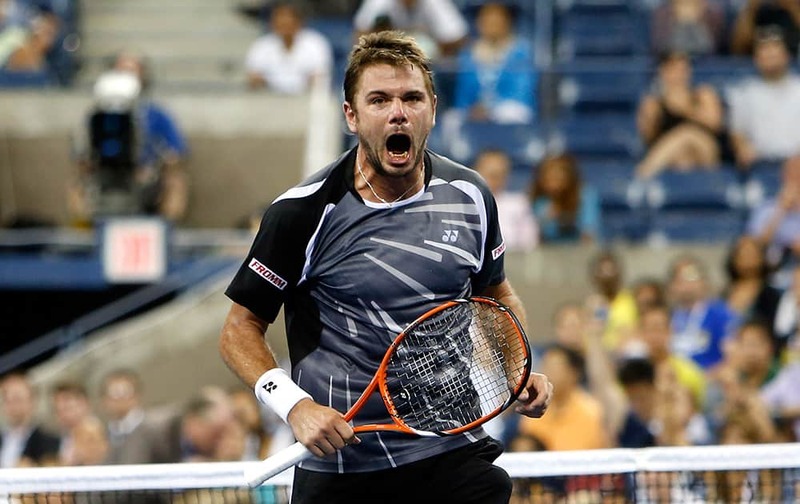 Stan Wawrinka, of Switzerland, reacts after defeating Thomaz Bellucci, of Brazil, 6-3, 6-4, 3-6, 7-6 (1) during the second round of the U.S. Open tennis tournament in New York. 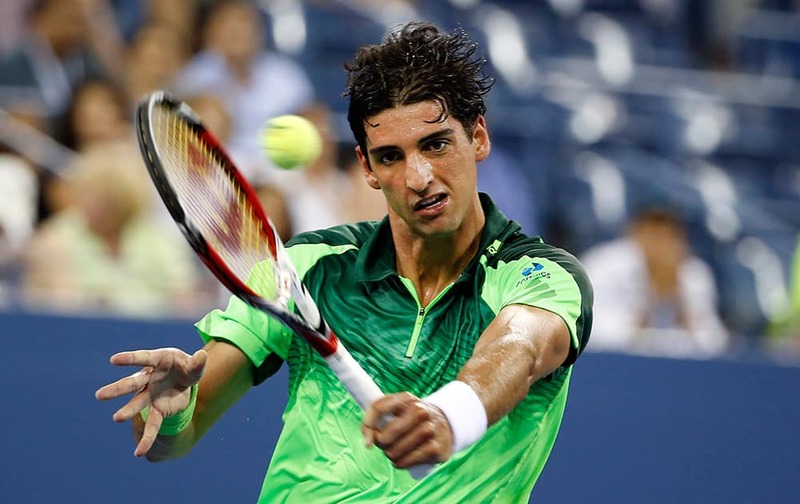 Thomaz Bellucci, of Brazil, returns a shot to Stan Wawrinka, of Switzerland, during the second round of the U.S. Open tennis tournament in New York. Timea Bacsinszky, of Switzerland, watches a return to Venus Williams, of the United States, during the second round of the U.S. Open tennis tournament in New York. 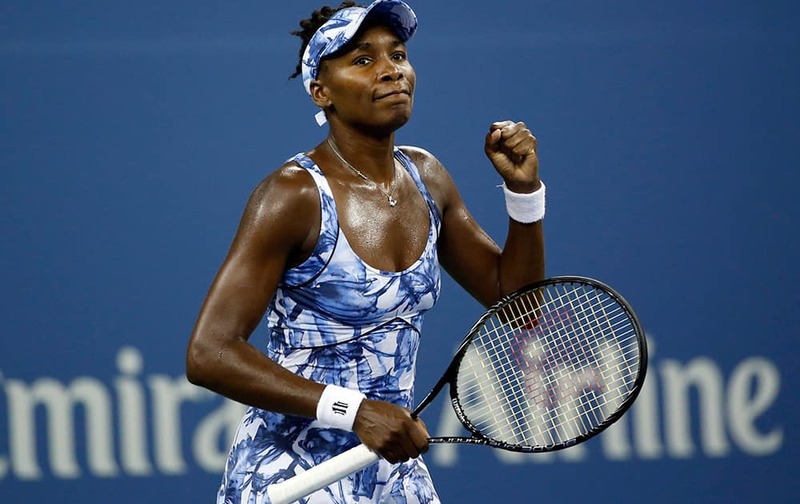 Venus Williams, of the United States, reacts after defeating Timea Bacsinszky, of Switzerland, during the second round of the U.S. Open tennis tournament in New York. 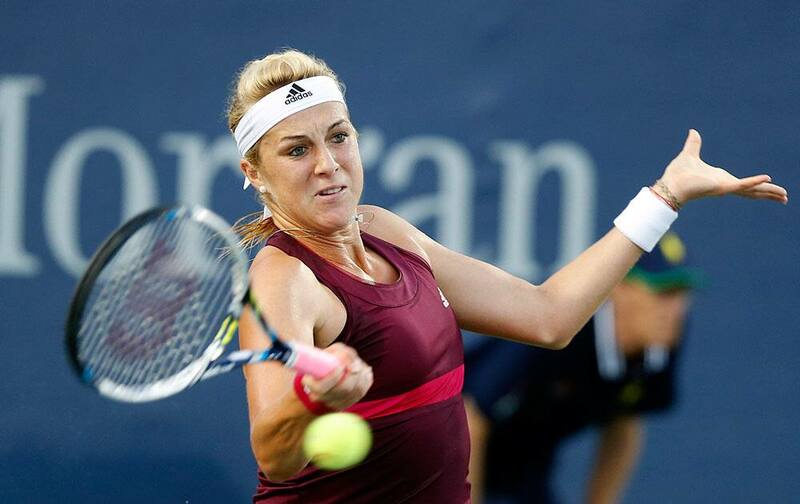 Sabine Lisicki, of Germany, reacts after missing a shot against Madison Brengle, of the United States, during the second round of the 2014 U.S. Open tennis tournament in New York. Maria Sharapova, of Russia, blows kisses to the crowd after defeating Alexandra Dulgheru, of Romania, during the second round of the 2014 U.S. Open tennis tournament in New York. 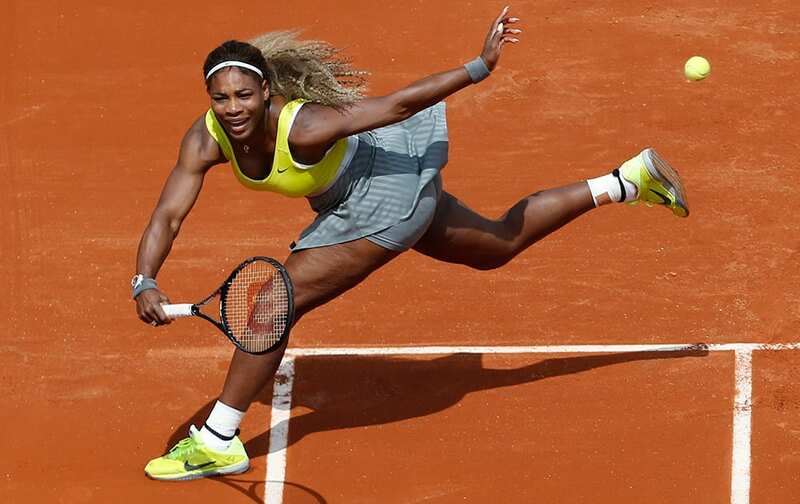 File photo: Serena Williams returns the ball during a first round match of the French Open tennis tournament against France's Alize Lim at the Roland Garros stadium, in Paris, France. Anastasia Pavlyuchenkova, of Russia, returns a shot to Teliana Pereira, of Brazil, during the opening round of the US Open tennis tournament, in New York. Victoria Azarenka, of Belarus, chases down a shot against Misaki Doi, of Japan, during the first round of the 2014 US Open tennis tournament, in New York. Novak Djokovic, of Serbia, returns a shot to Diego Schwartzman, of Argentina, during the opening round of the US Open tennis tournament, in New York. 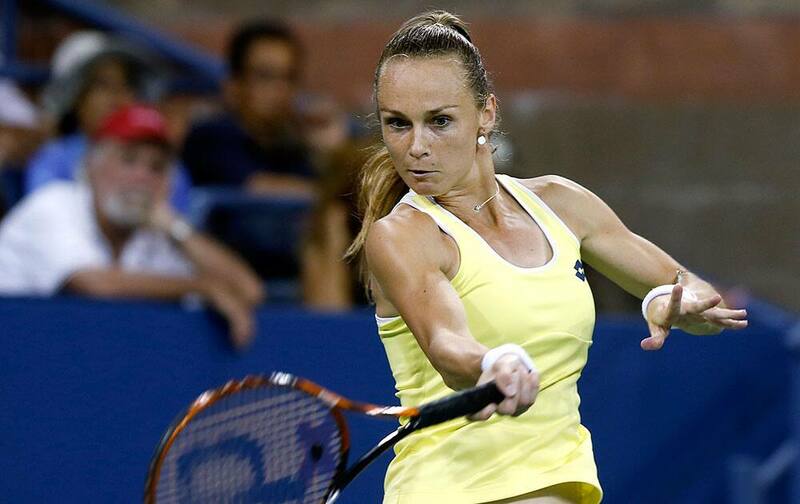 Magdalena Rybarikova, of Slovakia, returns a shot to Caroline Wozniacki, of Denmark, during the opening round of the US Open tennis tournament, in New York. Sara Errani, of Italy, returns a shot to Kirsten Flipkens, of Belgium, during the opening round of the US Open tennis tournament, in New York. Alison Riske, of the United States, returns a shot against Ana Ivanovic, of Serbia, during the opening round of the 2014 US Open tennis tournament, in New York. 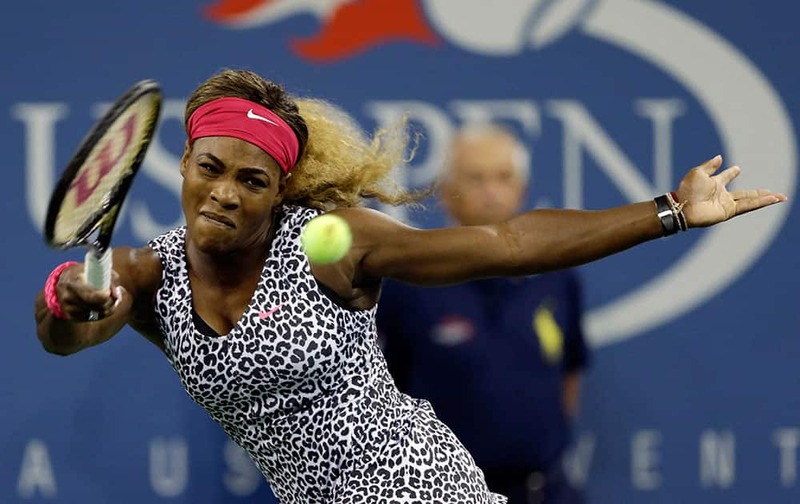 Serena Williams, of the United States, returns a shot to Taylor Townsend, of the United States, during the opening round of the US Open tennis tournament, in New York.